HOSTESS REWARDS ARE NOW OVER $300 FREE & 4 ITEMS AT 1/2 OFF! My online customer appreciation trunk show has now turned into an in-person trunk show, as well! 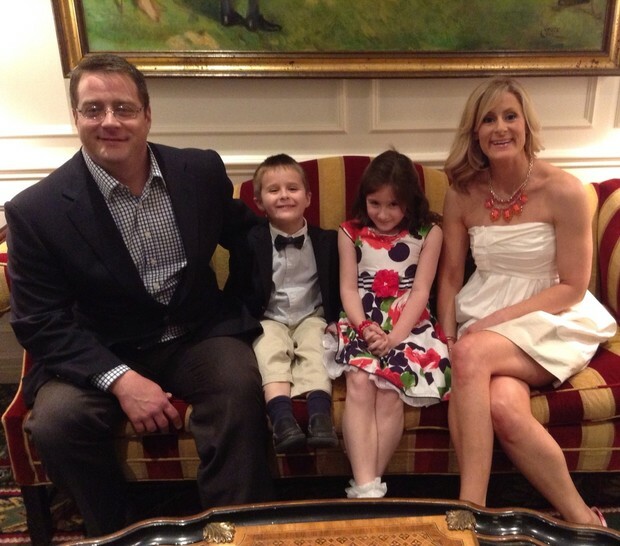 For those of you who want to come by from 2-4pm tomorrow, Sunday, June 30th, please R.S.V.P. to me directly. The pot is growing bigger by the hour but your chances of winning are still very good! Orders must be placed by (pm Sunday, June 30th! 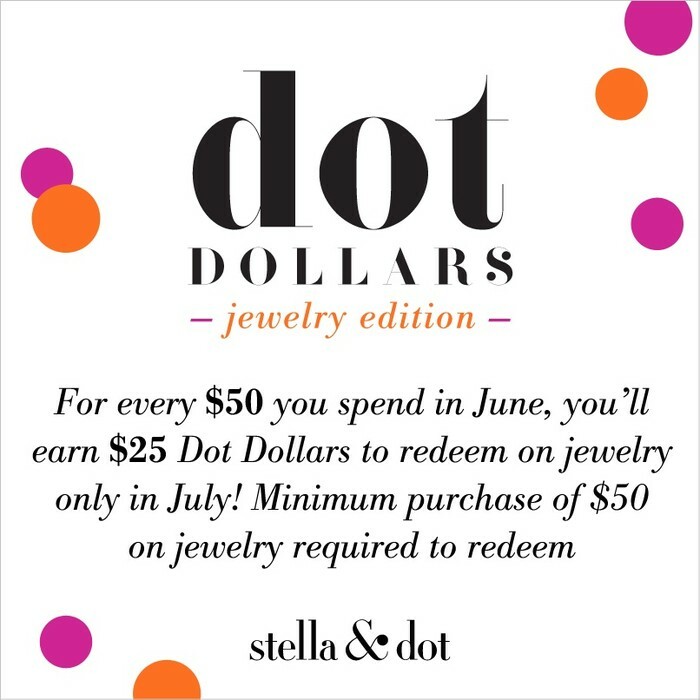 Purchase a $100 Gift Card to earn $50 Dot Dollars to redeem in July AND use when the Fall line debuts July 19th! 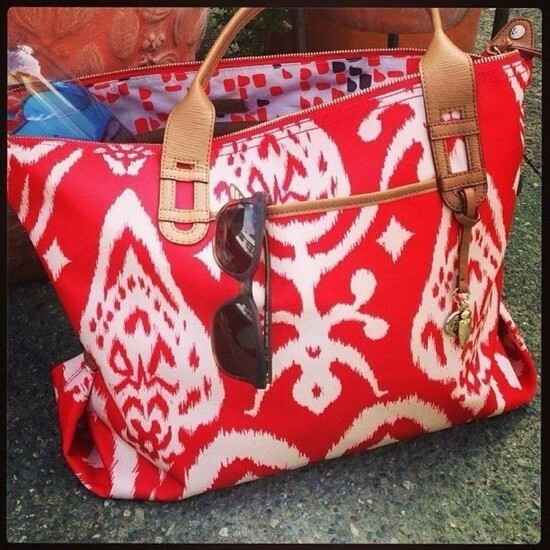 You'll receive TWO ENTRIES to win the mystery hostess rewards AND the super-cute How Does She Do IT tote! Gift cards never expire and can be redeemed online, through me, or at a trunk show! The world is a more stylish place because of you! 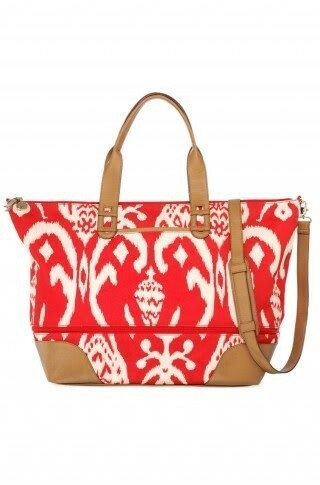 The Getaway - $138 it unzips to expand from a large tote to extra large. It fits everything! You'll use this bag over and over! How Does She Do It - $89. I hope you win because you'll want two of these! 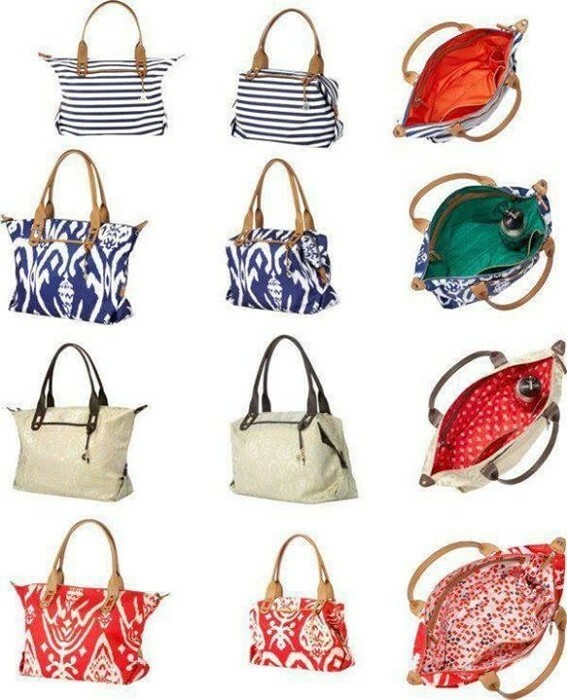 Go from tote to purse in a snap, literally! These just came back in stock yesterday and will sell out again...they are that cute! 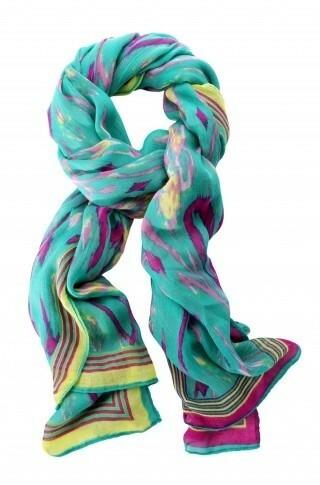 Palm Springs Scarf - $59. They make the cutest sarong for the pool or beach and they are lightweight enough to fit in your purse for those chilly indoor restaurants! 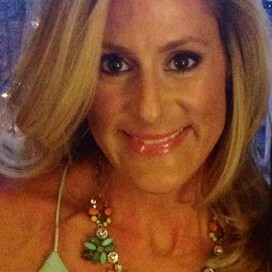 Seychelles Chandelier Earrings - $44 in pink or blue. These earrings make you feel like a style goddess & pull together ANY outfit! 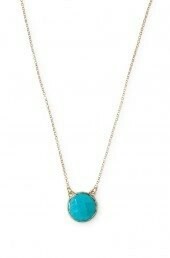 Maya Pendant Necklace - $39. A simple but gorgeous pop of color to wear every day! 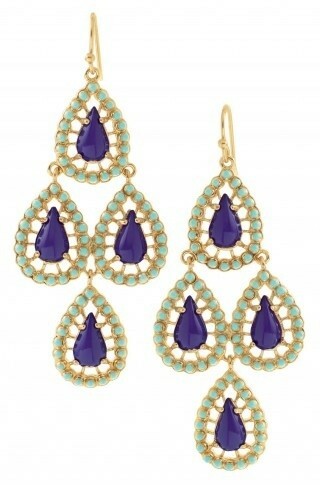 Looks great with the Seychelles earrings in blue!